Over-scaled features in this collection create unexpected interest. 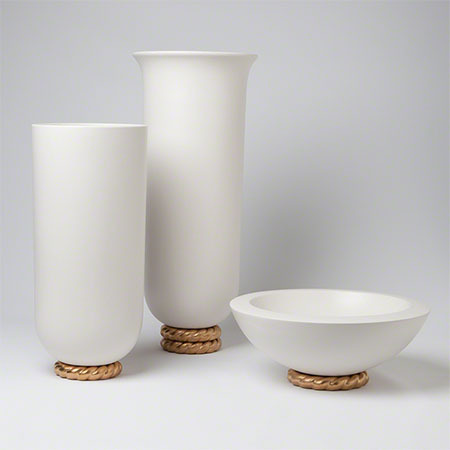 This fine quality ceramic piece is finished in matte white. 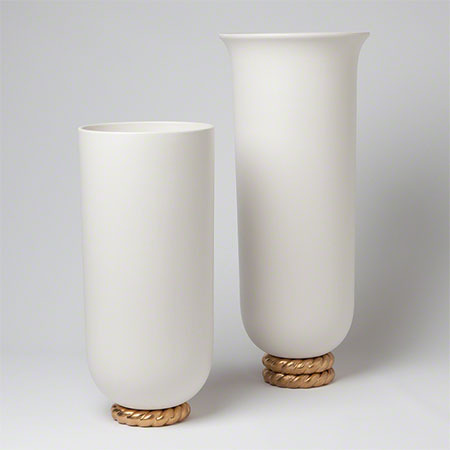 Gilded rope glaze contains real gold.